Since first grade, Christopher Creed has been everyone's favorite freak and weirdo whipping boy. But when he disappears without a trace, leaving behind only a strange e-mail message that might be a suicide note, his quiet town becomes consumed with speculation and finger-pointing. And the longer he remains missing, the more clear it becomes that for most people, finding out what happened to Christopher is much less important than finding someone besides themselves to blame. 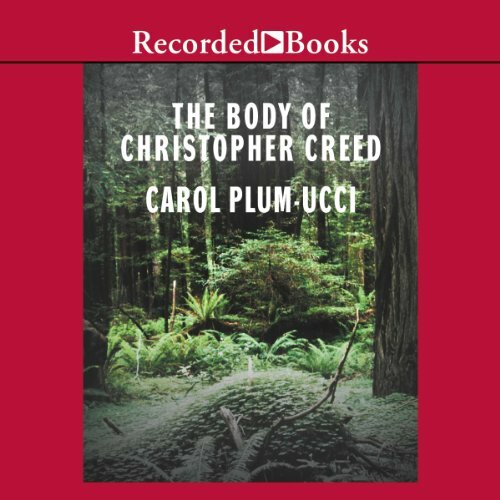 An introspective tale in the vein of "Paper Towns"
I purchased “Chris Creed” when I was going through a teen detective/mystery phase. It wasn’t at all what I expected and the style didn’t really gel with me initially so I put it down for over a year. I just picked it up and finished the second half and I have to say it was a fairly worth-while read. It is not a true detective/mystery story which I unfairly punished it for initially. It is a much more introspective piece that details Tori Adam’s changing views of his friends, family, community and society as he looks into the sudden disappearance of outcast Christopher Creed. It is very much like “13 Reason by Jay Asher” or “Paper Towns by John Green” in that the story is actually about what the narrator learns of himself and life etc when they do some investigating and start to understand the lives of people they had pegged completely wrong. As I mentioned the style didn’t really work for with me. I had a problems nailing a time period in my head (early to mid 90s? – pre-constant cells phones, start of regular internet, use of floppy disks!?) which kept me a little out of it. There was also something with the narrator/recording that was very uneven and sometimes made me think it had switched narrators at the start of a new chapter until the accent settled down again. It was definitely not the worst offender I've heard but it also kept me from getting totally lost in the audiobook. There also wasn’t a great deal of action which I think lets it down when compared to some of its peers in the genre but it never got too nebulous , vague or existential in its conclusions/lessons/understandings which made “Chris Creed” more relatable for me. There are never any easy answers in a book like this, but I was satisfied with where the narrative and the book finished up. It was the final few pages that really cinched the book as a definitely recommend with me. I won’t give away spoilers but it is when Tori’s story finally came together. He is ‘telling’ this tale a year after it all happened but we are given no context until the last chapter and I wish I’d understood his motivations/actions a bit earlier to frame the book not just the narrative. Regardless, I got serious chills on the last page and I urge everyone looking for a nice quite tale, particularly fans of the books I mentioned above, to give it a read. This book will not only keep you on the edge of your seat but it will make you want to keep reading until you've finished reading it.